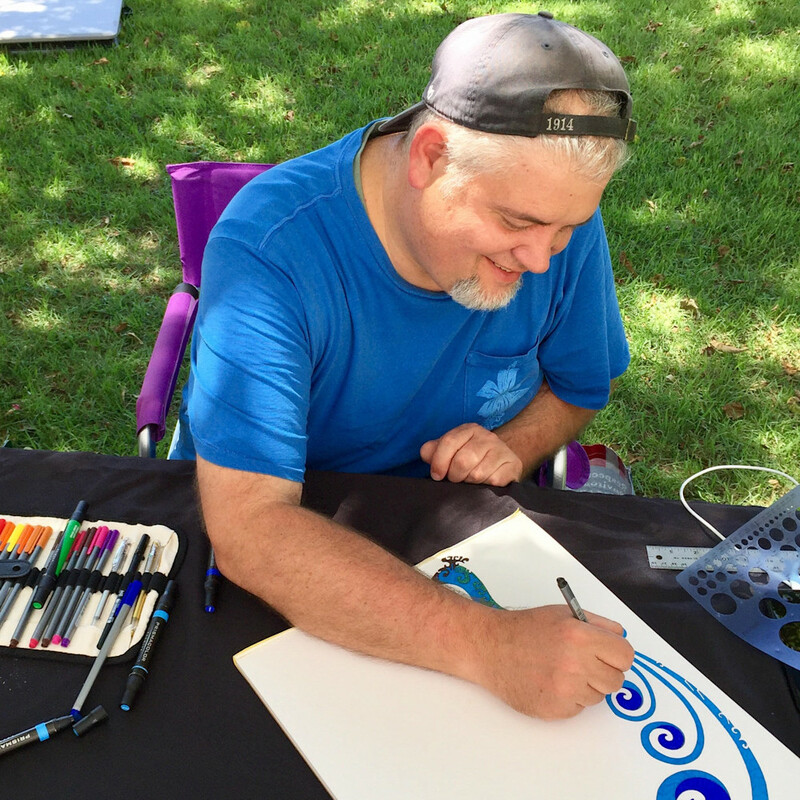 After graduating with a BA in Art from Texas A&M Corpus Christi in 2003, Chris has worked on developing his portfolio and technique while drawing privately in his home studio. Chris has also indulged his love of road trips and photography with travel across the American Southwest, photographing wildlife and landscapes that inspire his artwork. Chris currently lives in San Antonio with his wife and Art Agent, Lauren Gray. 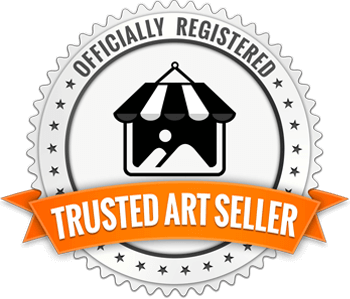 Chris is an avid participant in the San Antonio and Texas Hill Country Art Scene. His growth and development as an artist have led him to win juried awards and gallery representation. Chris started developing the style of art that he describes as Abstract Tribal while studying art in college. He uses the elements of design for the base of his work. The elements he focuses on most are line, balance, and color. He has always been intrigued by the tribal artwork of the Northwestern Native Americans. Their use of strong lines and vibrant colors has always attracted him. These are just a few of the current and ancient cultures that influenced his work. Chris became interested in abstract art through his art history classes. He is inspired by the processes of abstract artists and how they incorporate different elements of design in their work. Jackson Pollock, with his dripping paintings, had a strong sense of line and motion in his work. Mark Rothko believed that he could create emotional responses to his work through the way he put blocks of color together. Mark Tobey was another artist that inspired Chris as he also based his work on tribal writings and Asian symbols used in writing. Chris’ process happens in many fashions. Most of the time he has a clear image of the design that he wants to put on paper. As he begins his design, from mind to paper, the natural lay of the lines and curves drive his artwork. As he creates he also strives to keep the piece in balance and create a sense of motion or movement within the work. There is a lot of repetition in his work, with things like cross-hatching, bubbles, half circles, etc. He feels that this gives his work a sense of time. The last element he addresses in each piece of art is color. Some pieces, as he composes them, seem to call for certain color combinations. For the most part, though, it depends on his mood at the time and what inspires him at that moment. He believes that the colors he uses to give his work their identity, their soul, their feeling.